What are the 7 great virtues of donkey milk soap? Donkey milk Soap has two wonderful properties. The first one is that it is a fantastic cleanser an act of hygiene. And the second one is that it is the best of the best beauty treatment for the skin, hair, and body before any other care products. Milk soap simply makes you been and looking more beautiful! Donkey milk soap with a simple and natural ingredient, the donkey milk, whose effects have been proven, is used for centuries by many populations; it becomes easier to take care of its skin, hair, and body on a daily basis without spending a fortune! By using the right soap you can achieve both and for long time goals; Healthy, beautiful, even skin. The milk is an ancient secret to forever youthful skin. Healthy skin starts with using the right bar of soap! Virtue#1. Donkey milk is Cleansing Milk. Donkey milk in milk soap is considered an excellent dermo-cleanser. Its mineral salts help to clean the skin in depth by ridding it of the dead skin. This action also causes the regeneration of the epidermis and encourages cell growth. Your skin will feel so clean and fresh without the dry feeling that commercial soaps do to your skin. Milk soaps of El Greco Cosmetics contain the richest blends of 100% natural oils, with the most desirable ingredient (donkey milk). This hidden gem has a unique purifying power allowing the skin completely, and endlessly “Breathe”. Virtue#2. Donkey milk is Moisturizing Milk. Donkey milk in milk soap has undeniable moisturizing properties. Nourishing the skin deeply, Milk acts as a natural tensor. By this way wrinkles and furrows fade. So the skin remains smooth and dynamic, despite the passage of time. Cleanse your skin every day with milk soap and give it that all day long moisture it desires! Virtue#3. Donkey milk is Protective Milk. The composition of donkey milk in milk soap is rich in unsaturated fatty acids, so it is very close to that of the lipid film of the skin. By this way does its regular application to don’t dry the skin, but it also preserves it against the risks of drought. This explains why donkey milk is indicated for people with dry, reactive or problem-prone skin. Vrtue#4. Donkey milk is Antiallergic milk. Donkey milk soaps are recommended to help to relieve skin with psoriasis and eczema. They take care of the most fragile, sensitive or most allergic skin. Donkey milk in donkey milk soap is perfect to take care of a simple dry skin, constantly threatened by pollution. This beauty milk soap bar treats teenage acne, adult acne and can ease eczema. Virtue#5: Donkey milk is Antioxidant Milk. Donkey Milk in milk soap has antioxidant power on the skin. This is because of the massive presence of omega 3 and omega 6. They protect the membranes of skin cells and promote the regeneration of the superficial layers of it. These fatty acids, which are very important and highly prized in cosmetology, help that milk slows down skin aging. Do not worry about the effects of aging; your skin keeps its youth longer because of donkey milk. Virtue#6. Donkey milk vitaminizes your skin, hair, and body. Donkey milk is rich in A, B, C, & E vitamin complex. Those vitamins block free radicals from cellular metabolism and protect the skin effectively. Milk soap contains all the essential vitamins your skin craves to stay supple and elastic. Donkey milk has all vitamins your skin so desperately needs. Donkey milk is the only milk on the planet that contains the most vitamins that your skin loves!!! Virtue#7. Donkey milk is for Hygiene. Donkey milk in donkey milk soap bar brings your skin back to life.. Don’t miss out on your chance to improve your skin. Washing with milk Soap is an act of hygiene. Donkey milk soaps are naturally antimicrobial with all the vitamins the milk brings to the milk soaps. Usage tip: Keep your luxurious donkey milk soaps dry between uses. It will ensure a longer lasting bar. 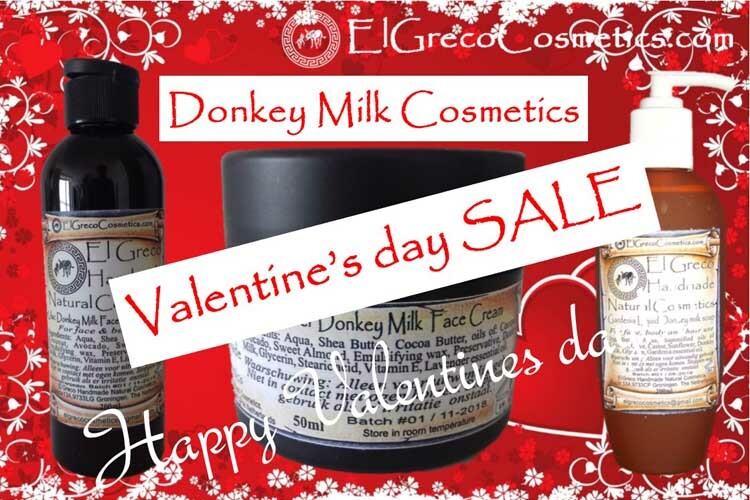 Why El Greco handmade Natural Cosmetics donkey milk soap? Handmade natural soaps from El Greco Cosmetics range are made with rare and valuable natural raw materials such as organic Donkey Milk. Organic Milk as key ingredient acts in synergy with the amazing properties of olive oil, coconut oil, palm oil and castor oil in order to leave the skin clean, smooth, nourished and moisturized the most sensitive skins. Preservative-free soaps. No color additives. We believe transparency is the only way for our customers to know they can put their confidence in El Greco handmade natural soap. Genuine organic products are clearly labeled so you can make an informed choice about the product you are buying. The cream that is present in milk in our handmade Natural soap with milk helps boost the moisturizing quality of donkey milk soaps. Our handmade natural soap with milk will not dry your skin out like much other soap. This is important because keeping skin naturally moisturized helps keep skin healthy. Reasons of using natural donkey milk soap. The cream present in our handmade natural soap with milk is not just a moisturizer, soothing dry and damaged skin, but possesses an anti-inflammatory effect. Donkey milk in natural milk soap also delays visible signs of aging like fine lines and appearance of wrinkles. We at El Greco Cosmetics based on our own experience recommend our milk soaps for all skin types. 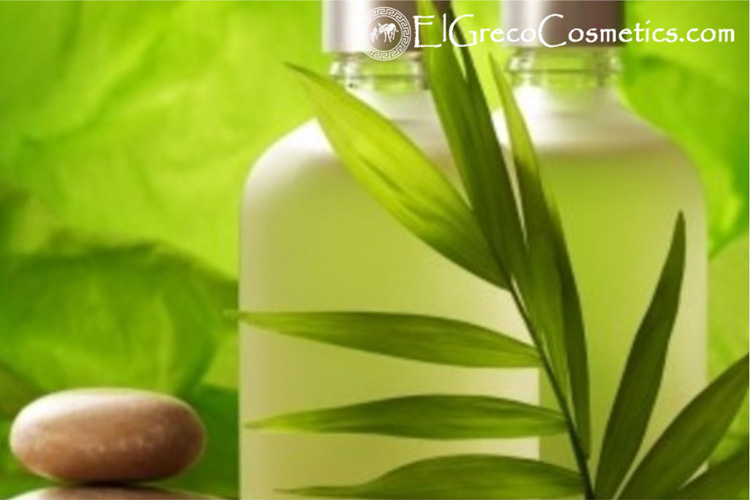 Use El Greco Cosmetics milk soap on your face and body with water. Work into a lather for effective cleansing and for an aroma-therapeutic benefit. We handcraft our Natural organic donkey milk soaps using the slow cold process method, which means no external heat is used to the goodness of the natural ingredients are preserved for you as much as possible. Each bar of our Natural Organic Donkey’s milk soap begins with milk as key ingredient, a high percentage of nutrient-rich organic extra virgin olive oil, for its well-known superior skin care properties, to which we add organic coconut oil for fluffy lather, sustainable organic palm oil to increase longevity, and organic castor oil for a dense creamy lather that conditions and moisturizes. El Greco Cosmetics Natural milk soaps have a natural alluring aphrodisiac aroma. They get their color and the aroma of the natural ingredients we add in such as lavender, oatmeal, Curcuma, and honey. Other than that they also reduce muscle stiffness, sprains & other physical aches. El Greco Cosmetics Natural Organic milk soaps improve skin elasticity, helping to reduce the visibility of scars & stretch marks. El Greco Cosmetics Natural Organic milk soaps leave your skin gently cleansed & lightly perfumed as you leave the bath. El Greco Cosmetic’s Natural Organic milk soaps are used to reduce greasy skin, while soothing dry, sensitive & irritated skin. Get relaxed and tension free by using El Greco Cosmetic’s milk soaps. Are you ready to use El Greco Cosmetic’s Organic milk soaps for your skin, hair and all your body? Using Natural Organic milk soap is a convenient way to treat your skin to all of its miraculous benefits. How can you use milk soap? …Lather soap onto hands or a washcloth and apply to your face and body. For centuries the wonderful properties of natural organic milk soap have been known, praised, experienced and enjoyed. Isn’t it about time you started enjoying these benefits too? I can assure you, the experience will be well worth it. you will get all organic milk soap with castor oil benefits. We are sending our handmade natural milk soaps free of post-charge worldwide if your purchase is €50 or more. Find out more about what are the 7 great virtues of donkey milk soap.